Boil the beets until tender; this will take about an hour. Once tender peel the beets and chop. 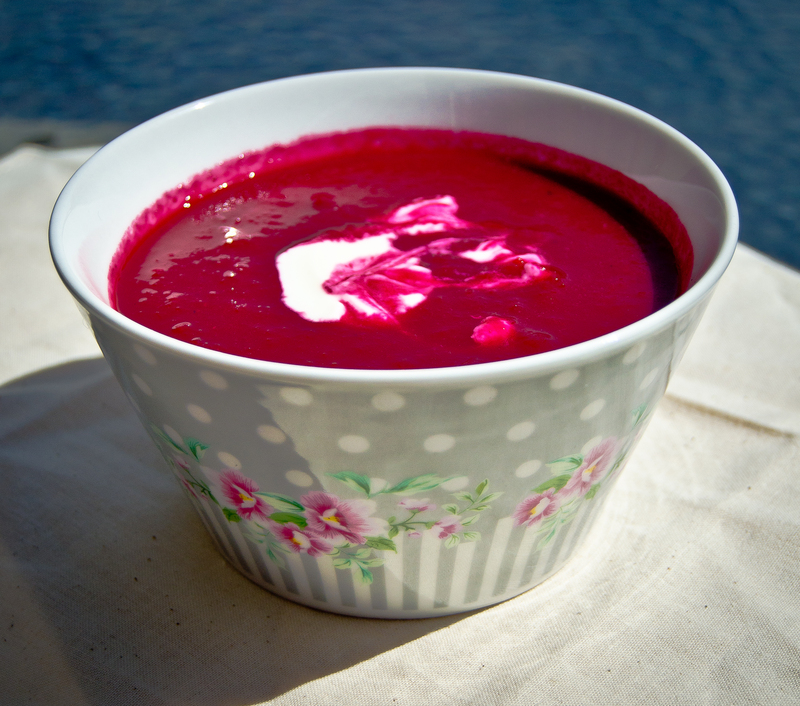 In a saucepan add the avocado oil, beets, chopped leeks, peeled garlic and ginger. Sauté the vegetables then cover with water. Allow it to simmer. Next add garam masala, juice of an orange, salt and pepper. Continue to cook until the vegetables are soft. Take the saucepan off the cooker and allow the mixture to cool. Once the mixture has cooled down, blend it to a smooth consistency. Add a dollop of full fat Greek yogurt and serve with homemade gluten free brown bread. A favourite Irish brand of mine is Sowan’s Organic. Since moving to South Africa I have discovered a great brand O’Crumbs by The Gluten Free Bakery in Johannesburg.